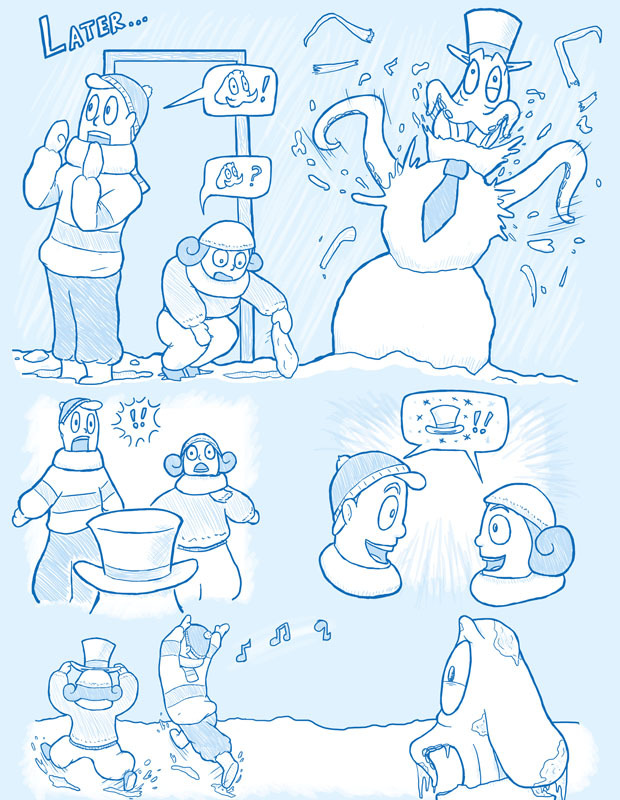 Does Octodad finally get out of his snow-themed jam, or does he freeze to death before the second game can even come out? Take a look at the final page and see! I think we all agree that clicking on links is really hard! So, rather than post Snow Day 7 on its own, I’ve put all of the series in this one place for swift viewing. Your index fingers can thank me later! 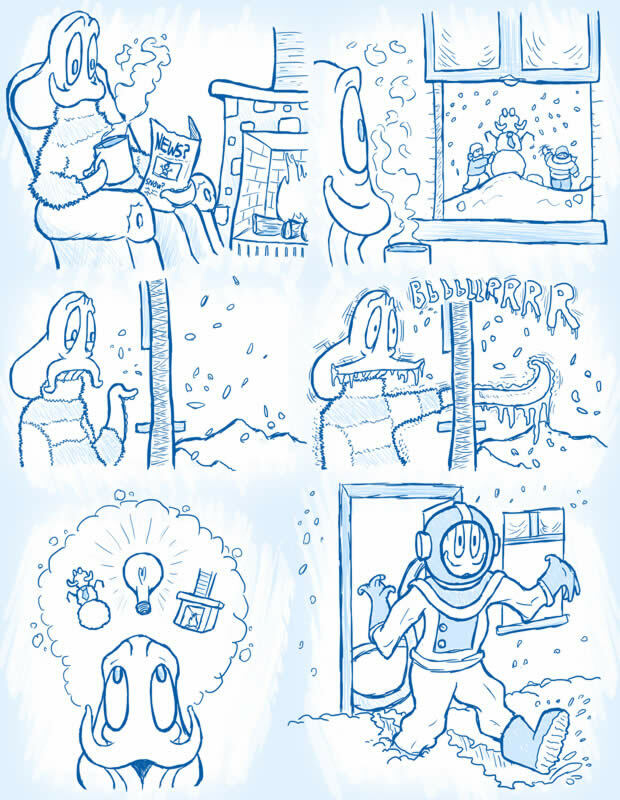 With this post, the weekly Octodad comics come to an end. It was a fun activity, but the game needs our full attention! When the moon is full, and the stars are aligned, we may yet post a comic on this website. I know it’s going to be hard to fill that Octodad-shaped hole in your heart, but medical technology has been advancing every year, and really, why did you think comics were an appropriate replacement for heart surgery? This one goes out to Molly! Yes, it’s a day early, but in case anybody wants to use this on the actual Valentines day, here it is! 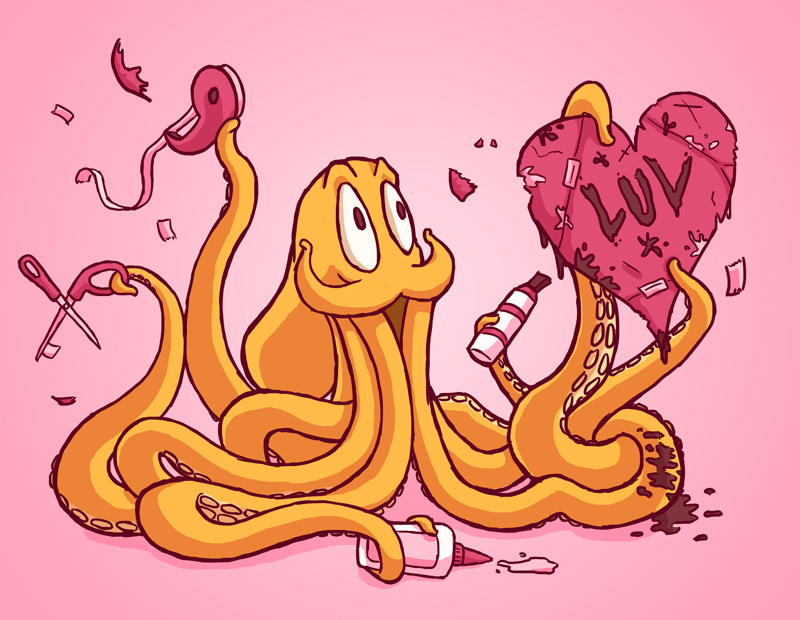 Coincidentally, we have a mighty fine shirt in the store that has a bold statement on ‘octopus’ and ‘love’. Follow the link! It may be late, but it’s still monday! How will this dangerous snow-based adventure come to a close? Tune in next week to find out!